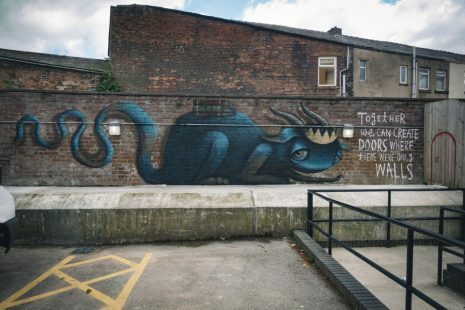 Blackburn residents have been treated to some striking displays of public art to kick off the third Urban Room festival. Urban Room Blackburn is a month long festival that focuses on urban culture and looks at art and architecture in public spaces. It is organised by Blackburn with Darwen Council through the Blackburn is Open project with funding from Arts Council England. It includes a series of exhibitions, talks and workshops and was inspired by the Farrell Review, a report into the state of architecture in the UK headed by renowned architect Sir Terry Farrell. The report outlines ways to engage local people and schools in their towns and neighbourhoods. 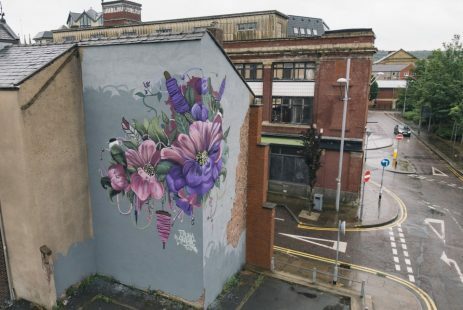 Last week Urban Room began with Blackburn Open Walls, a project that saw six female artists decorate walls around the town centre with street art. 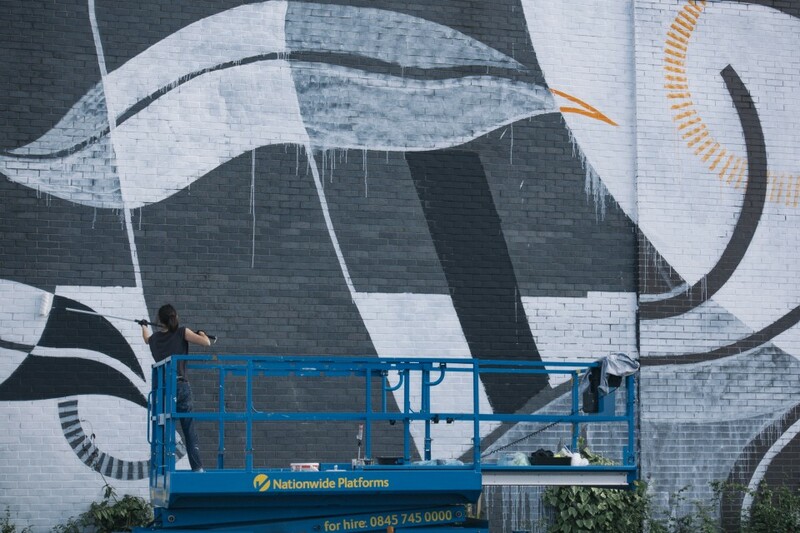 It was curated by artist Hayley Welsh originally from Blackburn who now lives in Australia. 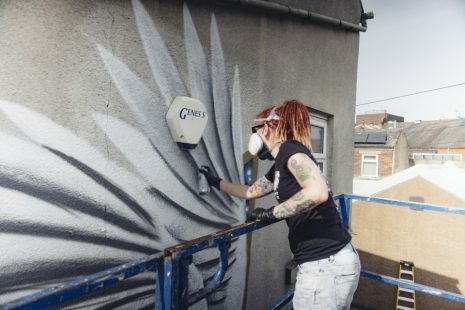 She invited other female street artists from all over the UK to including Blackburn based Alexandra Gallagher who decorated a series of arches on Ainsworth Street with her specific brand of surrealist artwork. Another highlight of the project is the Conversation in Creativity being held at Blackburn Museum & Art Gallery. Organised in conjunction with Creative Lancashire and the national Urban Room network, Conversation in Creativity will focus on the inspirational women involved in place making and include artist duo Idle Women, who run a touring arts centre from a canal boat. And on Friday, July 8 a tour of Blackburn’s Cotton Exchange will be held by Alastair Murdoch, Chair of Re:Source a charity that is aiming to restore the building. He will explain plans for the redevelopment and regeneration of the former Apollo cinema and the transformation of it into a new cultural asset for the town. This will be followed on Tuesday, July 19 by A Modern Blackburn which sees architect Altaf Master from Capita explain the ideas behind the design of Blackburn’s new bus station in the context of other contemporary buildings he has designed.